A municipal accommodation tax will be imposed for all guest in Kyoto from October 1st in 2018. 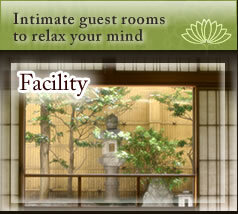 All guest staying any hotel, ryokan or inn in Kyoto are required this tax and our ryokan as well. Please note the tax detail is as followings. Watazen has about 180 years of history. Our ryokan (the traditional Japanese style inn) has long history and kept the tradition to this days. You can experience the real OMOTENASHI (hospitality in Japanese) at Watazen, and if you want to enjoy cultural experience, watazen is the best ryokan to stay for sure! When you enter, the Nishijin brocade picture welcomes you. Our guest rooms have TATAMI mattress (we also we have few western style rooms too) which bring the Japanese exotic feeling to you. At the corner of your room we put a simple Japanese traditional flower arrangement as well. You can feel JAPAN even at the small corner of our ryokan. 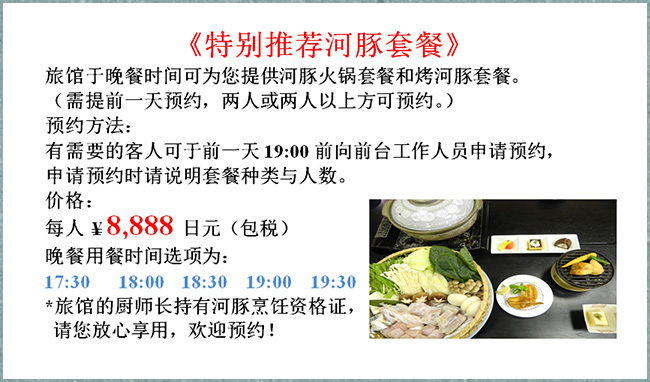 Please come and stay at Watazen to make your trip more memorable. 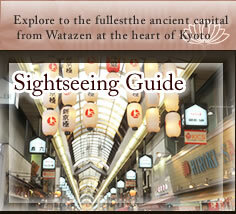 Watazen is located just in the center of Kyoto. People in Kyoto often call our area as the navel of Kyoto. Around our ryokan, there are Subway stations, famous temples, souvenir shops, Nishiki Market and Gion district in walking distance. It can’t be more convenient for tourists. Around Shijyo street and in our ryokan, there is free Wi-Fi and many more convenient services available. Please feel free to ask our front desk for such services. If you stay at Watazen you can’t miss the Japanese style public bath. Please wash out all stress and your worries from daily life. Male and Female are separated and each bath has plenty amount of showers. Using the big bath tab will make you relaxed for sure! If you are lucky, you can enjoy the special herded bath in the first week of May (depends on the year). Watazen serves the traditional Japanese KAISEKI cuisine to you. You can eat in your room privately with your family or with your friends. In the morning, the traditional Kyoto breakfast and Japanese style breakfast is available. We can also serve western style breakfast. If you are vegetarian, don’t worry! 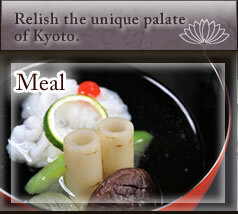 We can serve you the special vegetarian KAISEKI either. Watazen has archived the certificate of excellence by trip advisor (the world largest booking website) in 2013and 2014! 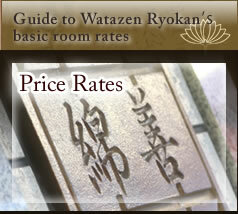 Watazen is the most chosen ryokan in Shijyo area according to trip advisor. Our Ryokan is not only “OLD”, we are still improving day by day. So we proudly welcome you to our ryokan. Even if you don’t know anything about Japan, you can have this great experience at a reasonable price. We welcome you, and hope to see you in near future!!! We will try to improve our services more and more to make your stay memorable!